Apparently the artist, V.A. 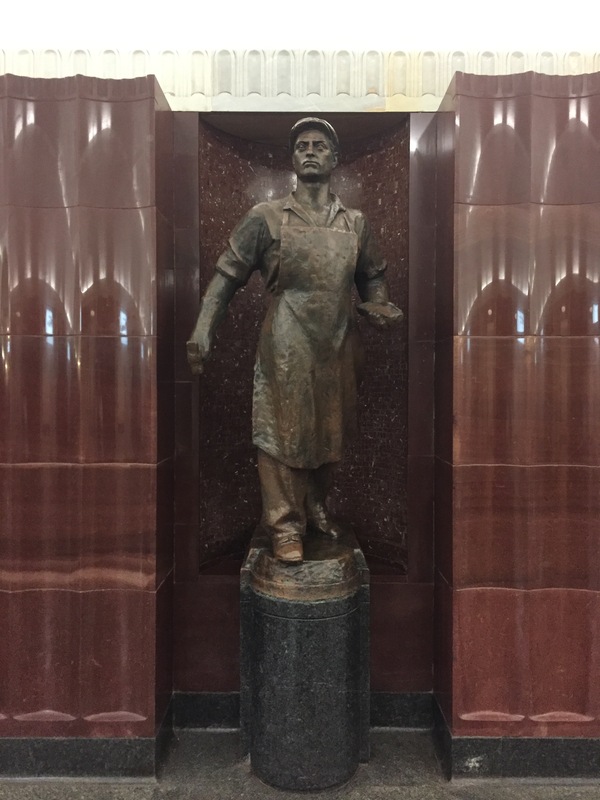 Andreev, filled the station with statues of Russian soldiers and workers from WWII. Next time I find myself at Baumanskaya, I’ll snap some pictures of the other statues! Posted in Russia, Statue of the DayBookmark the permalink.